do the picture puzzle Colour the red in the picture puzzle. 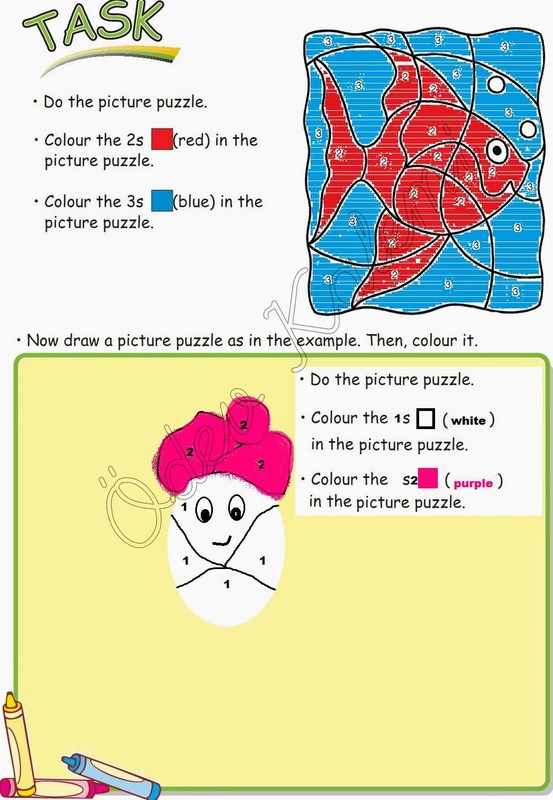 Now draw a picture puzzle as in the example. Then, colour it.